The whole variety of travelling is present at IAMAI- Travel Conference: Destinations, tour operators, booking systems, carriers, hotels and all other suppliers who want to embellish their customers’ most beautiful weeks of the year. IAMAI –Travel Conference brightens your business. The Travel Conference organized by the Internet and Mobile Association of India (IAMAI) aims at looking at the convergence of technologies that will give a boost of creativity to the new travel strategies being formulated. IAMAI is the B2B-Platform for trade visitors – an excellent opportunity to meet business partners and to do business. For all other visitors IAMAI- Travel Conference is a wonderful possibility to discover the whole. Participants came up suggestions of some really strange apps they need. This session was a highly interactive one. 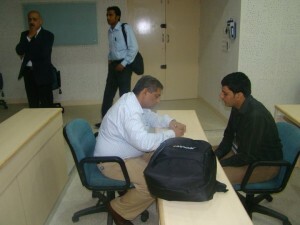 At how many conferences do you get an opportunity to interact in detail with a speaker? hardly any. At the max you might manage to exchange cards. Speed Dating is an arrangement wherein participants would get a 10 min one to one time with a speaker of his/her choice. One gets to interact with the speaker in person, share his/her ideas/concerns, get tips, advices and so on. 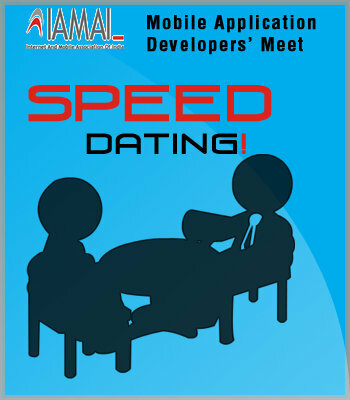 Speed dating is a good opportunity to seek help/inputs from experts. Do not miss it.